Ah Tuscany . . . famous for wine and art. The majority of our journey was spent here since there was just so much to see. Two of those nights were spent in Florence. We hopped off the train, check into our AirBNB, and then headed straight to the Duomo. Luckily there wasn't a line at Giotto's Bell Tower so we bought a ticket and made the 414 step climb to the top. What better way to introduce yourself to a new city than from a bird's eye view? The on and off rain showers had stopped just in time for us to enjoy the panoramic view at the top of the tower. As the wind whipped my hair I saw the rolling hills of Tuscany off in the distance and sienna colored roofs below with colorful moving dots covering the streets. This is where Renaissance was born. Extraordinary minds were inspired to create some of their best work here. I could see why. TRAVEL TIP: the Bell Tower has a few less steps than the Duomo and offers better views in my opinion. Keep in mind there are resting points on the climb up but the stairs are narrow and curved. Not for the claustrophobic! And then the rain started up again. So we opted for something a little more indoors; the Academia. Again, we struck "gold" with a zero wait time. However, without the wait I had little time to mentally prepare. I felt a little overwhelmed as I turned the corned and saw him . . . the David. I felt a million emotions at once. Nervousness. Fear of disappointment. Excitement. Physically I couldn't walk fast enough and my arm was covered in chills. Surely a statue couldn't be such a big deal. On the way you pass by the master's other unfinished works. Prisoners begging to be set free. Everything and everyone points to him. The crowds take their turns and finally part. There you stand. What comes next is between you, God, and the marble perfection in front of you. We treated ourselves to gelato, of course, then headed for a glimpse of the Ponte Veccho before the sun was completely set. For the record, Tiramisu gelato is my flavor of choice. Later we capped our evening with a glorious Florentine steak dinner at Ristorante Le Fonticine with our Americans friends who we met in Cinque Terre. It was a delicious way to end our first night. The next day was a day for exploring. We went to the Uffizi Gallery but there was a massive line so we opted to walk the Ponte Vecchio. The bridge is covered in jewelry shops and while browsing a literal hail storm began – quite abruptly I might add. I took cover in an adorable art store just across the bridge and was obliged to buy some souvenirs while we waited out the weather. The Arno river rose very quickly over the next couple hours and we even saw a car get devoured in the rising tide. I figured if the Ponte Vecchio had held up this long then it would likely last one more day. 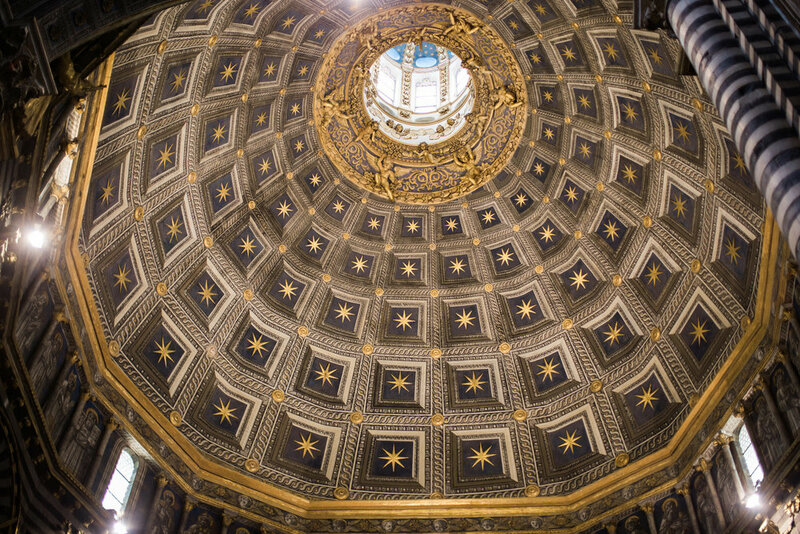 TRAVEL TIP: The Uffizi has free days each month. Check their calendar and save some money! We headed back to the Uffizi and the line was half as long as before so we jumped into the queue. The museum is huge and I'm sure we barely saw it all however I was mostly vying for a glimpse of the Birth of Venus. The evening ended with a light dinner at the local modern market and a soggy hike up to Piazzale Michelangelo for a night time view of the city with our American companions. TRAVEL TIP: Bring waterproof shoes/boots and test them out before your trip. The streets tend to flood after days of rain. I actually had to buy a pair of boots and ask the sales lady to throw out my old ones. Dry feet make a huge difference in your experience! We also had waterproof rain coats and bought umbrellas from a street vendor. No need to pack one if you will be in a touristy area. 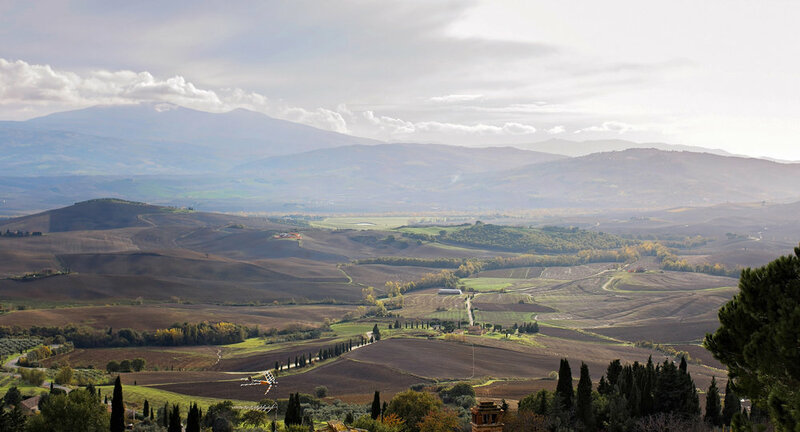 The next day we packed our bags and headed for the heart of Tuscany. We picked up our rental car in Chuisi and made our way to Montepulciano before our check in time. I must say that my husband was a pro at adapting to Italian driving. Although we might have been pulled over once but it was just a misunderstanding. It's now a funny story but a little worrisome during the moment. TRAVEL TIP: You must have a International Drivers License to drive in Europe. We picked one up before our trip at AAA. They are the only providers in the USA. It's inexpensive and you receive it that day. It basically explains in multiple languages your driving classification. Also, we did some research beforehand about road signs since there are several areas in the hill towns where cars are not allowed. Thank goodness for Google maps because it was the only way we were able to get around with ease. We arrived at our agritursimo Relais villa Grazianella and were greeted with an espresso from an inviting woman who spoke broken English. We soon realized we had the entire villa to ourselves with the best room in the building. The sunset view draping over the rows and rows of vineyards was breathtaking not to mention the glimpse of Montepulciano off in the distance. 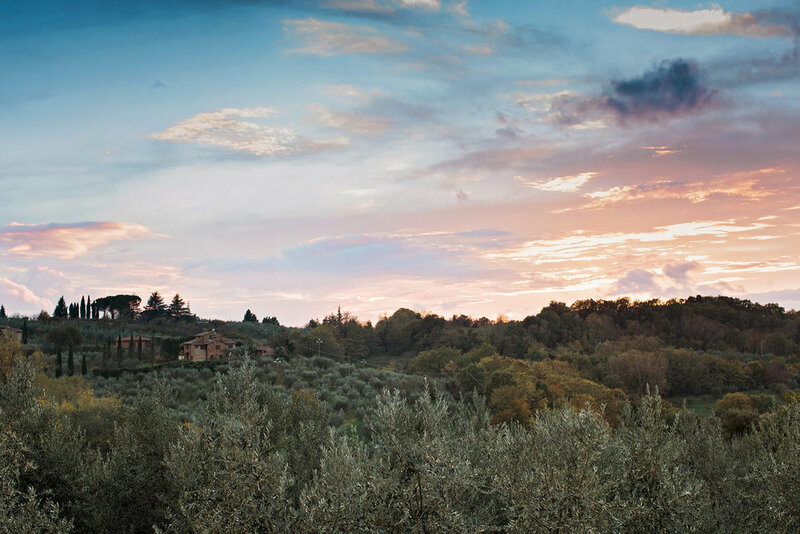 Travel Tip: An agriturismo is a working farm that also offers a place to stay for guest. They are registered with the Tuscany tourism and often offer dining as well. They are usually reasonably priced. 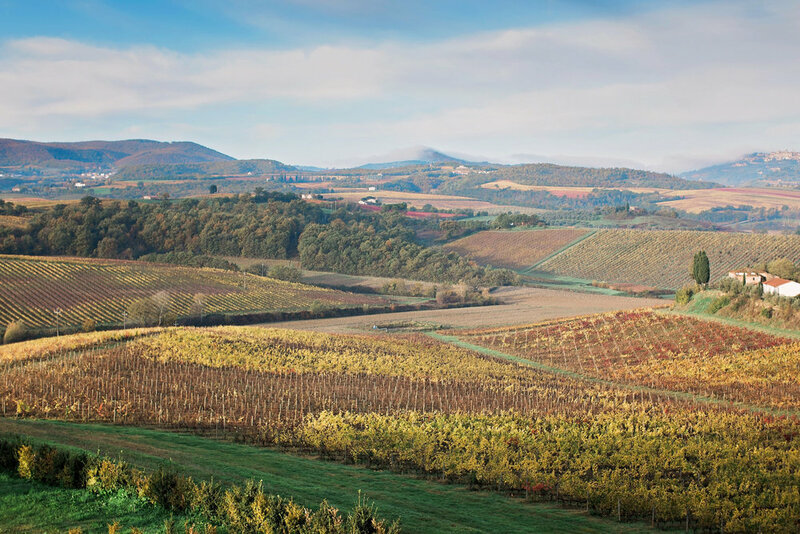 It's a great way to see the Tuscan work life up close. 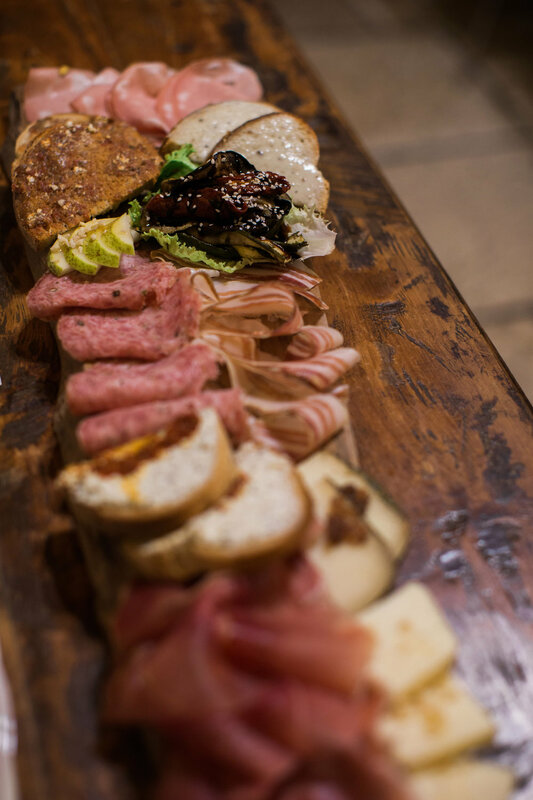 We had picked up a few treats in Montepulciano and decided to munch on those for the evening and call it a night. I watched a blazing sun set over the hill town and left the windows open so I could breathe in the fresh air through the night. I remember thinking, yes, Tuscany really is as beautiful as they say. Travel Tip: Download your maps before the trip for offline use incase you don't have wifi will driving. This was a timesaver! It was olive harvesting season and we marveled as the local farmers raked the trees of it's succulent produce while we headed out on our heart of Tuscany driving tour but of course with several amendments. For instance, I was set on trying a local hot spring. I had researched Fasso Bianco (White Trash) in Bagni San Filippo since it was near our route. The drive there was overwhelmingly gorgeous. At one point I set my camera down. I knew then it was impossible to properly capture this much beauty. I was forced to be present in that moment. Using my previously download Google map we easily found the entry point to the spring. After getting the lay of the land we changed into our swimmies and carefully submerged into the warm waters. We were practically alone except for a few hikers here and there. Then a couple of locals showed up with whom we talked with for hours about politics, work, and travel. We learned that the natural springs heat comes from the magma of volcano Amiata and it's some of " the best water in Italy", to quote an Italian. After our soak we drove through Val D'Orcia and into Pienza for an odd lunch, a story for another time, then onto Montepulciano again for a lovely sunset. 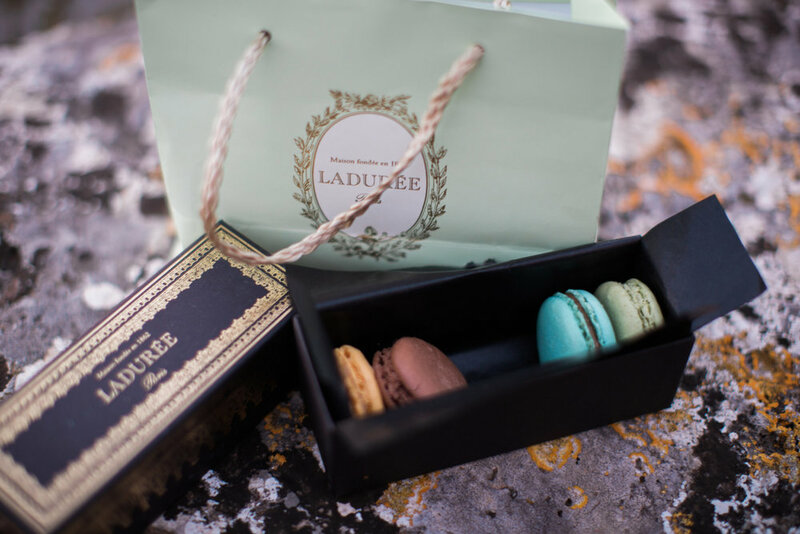 I perched on the lawn in front of the white walls of Chiesa di San Biagio and polished off the last of my Ladurée macarons . . . savoring each moment. Our last hill town to visit was Siena. I had heard so much about this area so I was excited to see the contrade animals (they remind me of the Hogwart's houses) and the square where they have the biannual deadly horse races, Palio di Siena which I'm not sure if I support but I respect the cultural history. The sun was actually shining that day so we sat in the piazza and bathed in the glorious light for a bit then headed off for an authentic charcuterie plate in an old wine cellar. After which we toured the famous zebra striped cathedral and then, of course, it began to rain so we tucked into a cafe where I devoured the best ginger creme brûlée of my life. We called it an early night and enjoyed the rest of the evening in our beautiful villa binging on Italian dating TV shows. All to soon we had to say goodbye to our sweet villa. The mist rose over the hillside and I took one last mental picture along with several digital ones. 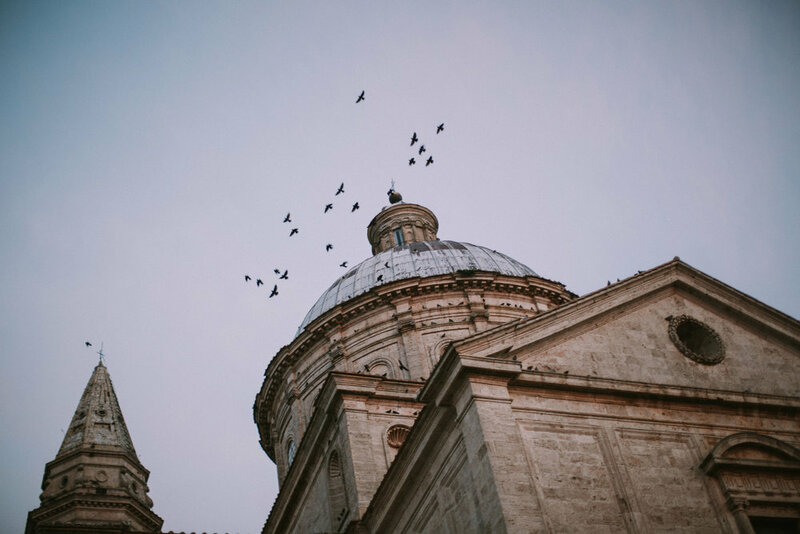 Looking back, I realize that so many quiet memories were made there, almost like a dream, and I suppose that's how I would describe Tuscany.